To add your resource to this page, please email us with a link and brief description. The topics in this large reference cover nature writing and the arts. Aftermath Magazine: Short stories, articles and essays exploring the end of civilization. ALECC: The Association for Literature, Environment, and Culture in Canada / Association pour la littérature, l’environnement et la culture au Canada (ALECC) is an organization for the creation, appreciation, discussion, analysis, and dissemination of knowledge about the work of nature writers, environmental writers and journalists, eco-artists of all disciplines, ecocritics, and ecotheorists in Canada. Artists & Climate Change: An initiative of The Arctic Cycle, this organization feels like the go-to place to find a wealth of information about all artists and climate change. They also have a literature section and are rerunning Dragonfly’s spotlights in their Wild Authors series. ASLE (Association for the Study of Literature and the Environment): A dynamic community of teachers, writers, students, artists and environmentalists interested in the natural world and its meanings and representations in language and culture. Climaginaries: A three-year research project initiated in September 2018, financed through the Swedish research council FORMAS. The overarching aim of Climaginaries is to advance the understanding of imaginaries as means through which to catalyse the forms of political, economic, and social responses required for transitioning to a post-fossil society. EASLCE (European Association for the Study of Literature, Culture and the Environment): Part of a worldwide network of affiliated organizations that brings together scholars, artists, and activists with an interest in the study of the interrelationship between nature and human cultures, aiming to foster the dialogue on environmental issues across cultural and disciplinary boundaries. Eco-Fiction by Lebanese Students: Greenline publication that helps promote environmental awareness and document environmental threats. EcoLit Books is an independent blog devoted to books—fiction and nonfiction—with environmental themes. Eko Stories: I was thrilled to meet Isaac Yuen recently at a panel on climate change and storytelling at the West Vancouver Memorial Library. We had already followed each other on Twitter, so it was nice to put a face to a Twitter name. Eko Stories contains Isaac’s essays connecting nature, culture, and self. Environmental Book Club: Blog by author Gail Gauthier, focusing on writing and children’s books. Environmental Themes in Ecofiction: Scholarly study that interprets the human/nature relationships in two recently published novels: Animal Dreams by Barbara Kingsolver and In the Center of the Nation by Dan O ‘Brien. International League of Conservation Writers: Forum to bring writers together from around the world who are writing to promote wilderness, nature, conservation, or using other means to protect and restore the natural areas, habitats, animals, and plants of our planet. Jeff VanderMeer: Called “The Weird Thoreau” by the New Yorker, this is Jeff’s blog with interesting ideas on ecological writing, climate change, writing, and reading. Jessica Groenendijk’s Words from the Wild: Jessica is a Dutch biologist turned conservationist and aspiring novelist. She was born in Colombia, and has lived in Burkina Faso, Holland, Tanzania and England, among other places. By writing stories of land- and seascapes and of their people and wildlife, she hopes to help re-build our connection with, and empathy for, nature. Tanja Rohini Bisgaard: Writer of short fiction about a future world where the climate and environment have been changed as a result of pollution and extensive resource use. She is also putting together a climate stories anthology. The 19th Century Greens: From BBC Radio, Professor James Woudhuysen ponders what 19th-century Romantic poets like Wordsworth would make of modern Greens. From July 2008. Where the Wild Books Are: A guide to eco-fiction by Jim Dwyer: offers an overview of nearly 2,000 works of nature-oriented fiction. The author includes a discussion of the precursors and history of the genre, and of its expansion since the 1970s. Ecocriticism and Narrative Theory: This Facebook group serves as a platform for those interested in the connections between ecocriticism and narrative theory, and should be a useful place to post questions, share ideas, distribute relevant CFPs, and recommend reading. Please feel free to join, recommend this group to others, and get the conversation started. 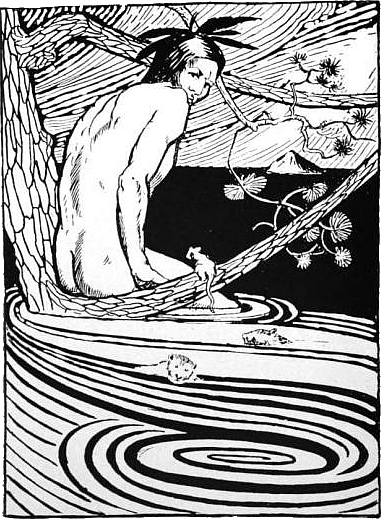 Ecology in Literature and the Arts–Facebook: Covers climate change and other ecological themes in literature and the arts. Environmental Humanities (Stanford): The Environmental Humanities Project provides a forum for an interdisciplinary approach to environmental issues. It foregrounds recent work of humanities scholars in disciplines such as cultural studies, history, literary studies, philosophy and anthropology that has engaged with environmental problems, and explores how this research contributes to current discussions about ecological crisis. Global Media and the Environment: This is a open discussion group originally hosted by the Society of Environmental Journalists. It is now an independent public group moderated by volunteers in order to further a global dialogue on media and the environment. Spam and off-topic posts will be deleted. Science Fiction and Fantasy World: All things science fiction and fantasy. Speculative fiction fathered current eco/climate themes in fiction. Science Fiction and Fantasy Writers of America: This Facebook page informs, supports, promotes, defends and advocates for its member writers. They are always interested in industry news, but only dues-paying SFWA members may post self-promotional material. Society of Environmental Journalists: A list of the society’s favorite environmental fiction. Writers for the Sea is a Facebook group of the non-profit Ocean Awareness Project, Inc. (DBA Blue Frontier). Its purpose is to support and promote authors and their books that are written about the greater part of our blue planet that is ocean. Writers for a Sustainable Future (Ecofiction) on Facebook: Encouraging, collecting, and promoting ecofiction (online global groups) and local communities envisioning change through fiction. Full templates in files. APE: Artists Project Earth: UK NGO that has funded over 350 projects and awareness-raising initiatives around the world that combat climate change and develop local resilience to environmental threats. ClimateCultures: Creative cultural responses to environmental and climate change. The Dark Mountain Project: The Dark Mountain Project is a network of writers, artists and thinkers who have stopped believing the stories our civilisation tells itself. They produce and seek out writing, art and culture rooted in place, time and nature. Green Reads – Excerpts: Our own project that freely promotes author works by allowing them to submit short excerpts, publication information, and social media links. Submissions may be all types of fiction, poetry, prose, graphic novels, essays, and so on that deal with environmental issues. FutureCoast: FutureCoast is a storytelling project about possible climate-changed futures. Anyone can express their ideas of possible futures by recording it as a voicemail on FC’s phone line. FutureCoast is thus a way to listen to diverse ideas about climate-changed futures and to be open to crowdsourced wisdom about them. Learn more about the collaborative storytelling game at FutureVoices.net, read their national press, and watch their post-game video. Future Library: Scottish artist Katie Paterson has launched a 100-year artwork, Future Library, Framtidsbiblioteket, for the city of Oslo in Norway. The prizewinning author, poet, essayist and literary critic Margaret Atwood has been named as the first writer to contribute to the project. A thousand trees have been planted in Nordmarka, a forest just outside Oslo, which will supply paper for a special anthology of books to be printed in one hundred years time. Between now and then, one writer every year will contribute a text, with the writings held in trust, unpublished, until 2114. Tending the forest and ensuring its preservation for the 100-year duration of the artwork finds a conceptual counterpoint in the invitation extended to each writer: to conceive and produce a work in the hopes of finding a receptive reader in an unknown future. Hieroglyph: Inspiration is a small but essential part of innovation, and science fiction stories have been a seminal source of inspiration for innovators over many decades. In his article entitled “Innovation Starvation,” Neal Stephenson calls for a return to inspiration in contemporary science fiction. That call resonated with so many and so deeply that Project Hieroglyph was born shortly thereafter. Imagination and Climate Futures Initiative (Arizona State University): The Imagination and Climate Futures Initiative will explore how imagination – or lack thereof – shapes humanity’s response to climate change and how imagination merged with science can create solutions to climate challenges. New Nature Series: From the Sydney Review of Books comes this thoughtful series on “New Nature”. Our Near Future: This blog posts articles on four topics around the theme of climate change and our near future. The blog posts stories, scenarios, and novels about climate change. Postcards from the Edge: Born after Hurricane Sandy, this project is collecting stories from across the country, and then pairing those storytellers up with local filmmakers who will then turn the story into an inspirational short film about climate change. Rewilding the Novel: To mark the launch of Dark Mountain’s Online Edition, novelist Gregory Norminton invited a handful of authors to contribute essays on the subject of rewilding the novel. Solarpunks: A new theme is emerging in science fiction literature and art: solarpunk. It imagines the future as bright, green and sustainable. See also ABC Net. Solarpunk: Notes toward a manifesto: Solarpunk is about finding ways to make life more wonderful for us right now, and more importantly for the generations that follow us – i.e., extending human life at the species level, rather than individually. Our future must involve repurposing and creating new things from what we already have (instead of 20th century “destroy it all and build something completely different” modernism). Our futurism is not nihilistic like cyberpunk and it avoids steampunk’s potentially quasi-reactionary tendencies: it is about ingenuity, generativity, independence, and community. The Culture Library: A BTD-supported initiative to create a participatory archive of current history in the region in the context of European integration. Weather Stations is an international project that places literature and storytelling at the heart of discussions about climate change. What is Missing.net: A digital “memorial” to biodiversity loss and decline. Writer Katie Welch: Blog about what it’s like living in a world going through climate change. Upper Rubbert Boot’s Sunvault: Stories of Solarpunk and Eco-Speculation: A new kickstarter, Sunvault: Stories of Solarpunk & Eco-Speculation will reach outside Western and Anglophone traditions of speculative fiction, showcasing the way environment and environmental issues are talked about and perceived in all parts of the world. This upcoming anthology of speculative fiction, edited by Phoebe Wagner and Brontë Wieland, will be published by Upper Rubber Boot Books in spring 2017. Sunvault will be open to submissions following the funding of this Kickstarter project. About Place is a literary journal published by the Black Earth Institute dedicated to re-forging the links between art and spirit, earth and society. Avocet is a journal of nature poems. BCnature Magazine is published quarterly by BC Nature. If offers a wide range of nature related topics including conservation news, club news, camp reports, book reviews and much, much more! Look for articles on botany, birding, biological, mammals, projects and many other educational topics. Bear Deluxe Magazine: The Bear Deluxe Magazine is the flagship project of Orlo and is published semi-annually from our headquarters in Portland, Oregon. The magazine aims to enrich the cultural dialogue about the environment through creative nonfiction, interviews, reportage, essays, reviews, poetry, fiction and visual art published in the soy-based inky, recycled pages of the magazine and online. Camas: The Nature of the West aims to cultivate novel ideas and perspectives while remaining rooted in the inherited traditions of art and literature of the American West. Founded by Environmental Studies graduate students at the University of Montana in 1992, Camas is a biannual environmental literary magazine that continues to be produced by students in the Environmental Studies program. Catamaran: Based in the new Tannery Arts and Digital Media Center Studios, in Santa Cruz, CA., our mission is to capture the vibrant creative spirit of The West Coast in writing and art from around the world. Catamaran Literary Reader published its sixth issue in May 2014. Catamaran features fiction, poetry, creative nonfiction, and the visual arts. Dark Matter: Women Witnessing is a response to the unprecedented changes humans are facing in an age of massive species loss and ecological disaster. As most of the world goes on with business as usual, others are asking: “How shall we live in these times?” Dark Matter is a home for the voices of these others; we welcome writing in all forms and genres, and artwork in all mediums, responding to the urgencies of this time. Ecotone: Founded in 2005 and published at UNC Wilmington, Ecotone is a semiannual journal that seeks to reimagine place. Each issue brings together the literary and the scientific, the personal and the biological, the urban and the rural. An ecotone is a transition zone between two adjacent ecological communities, containing the characteristic species of each. It is therefore a place of danger or opportunity, a testing ground. Ecozon@: is a journal devoted to the relatively new field of literary and cultural criticism called ecocriticism. Ecocriticism can be broadly defined as the study of the representations of nature in cultural texts, and of the relationship between humans with other earth beings and their environment as seen in cultural manifestations. Ecozon@ is one of the very few academic journals specifically devoted to ecocriticism, an exponentially growing field, akin to the more recently developing area of environmental humanities, and the only one to accept submissions in several languages. Earthlines is a thrice-yearly magazine for writing that explores our complex relationship with the natural world. We have a strong focus on place and on the culture and lore of place. Publishes poetry, fiction, creative nonfiction, and visual arts. Elementum: A journal of nature and story. Published three times a year, this journal gives artist and writer responses to scientific issues. Flyway is an online journal publishing poetry, fiction, nonfiction, and visual art that explores the many complicated facets of the word environment – at once rural, urban, and suburban – and its social and political implications. The Fourth River is a journal of nature and place-based writing published by Chatham University’s MFA in Creative Writing Program. The Goose is the literary journal affiliated with the Association for Literature, Environment, and Culture in Canada. Publishes poetry, creative nonfiction, and photography. The Hopper: A lively environmental literary magazine from Green Writers Press. The poetry, fiction, nonfiction, visual art, ecocriticism, and interviews that we publish are all paths towards an invigorated understanding of nature’s place in human life and are part of a new phase in nature writing and art that seeks to include a modern consciousness in narratives of place. Newfound: An Inquiry of Place is a nonprofit publisher based in Austin, Texas, whose work explores how place shapes identity, imagination, and understanding. The tri-annual journal features fiction, poetry, nonfiction, visual arts, reviews, and more. They also publish poetry chapbooks through their annual Gloria E. Anzaldúa Poetry Prize. Omenana: A tri-monthly magazine that is open to submission from speculative fiction writers from across Africa and the African Diaspora. Orion Magazine is a focal point in an extraordinarily rich period of nature writing, and it has remained true to that core conviction, though the magazine has evolved into a bimonthly and the range of its interests has broadened to include not only environmental but cultural concerns. Plumwood Mountain: An Australian Journal of Ecopoetry and Ecopoetics. Reckoning: An annual journal of creative writing on environmental justice. Resilience: A Journal of the Environmental Humanities is a digital, peer-reviewed journal of the Environmental Humanities. It provides a forum for scholars from across humanities disciplines to speak to one another about their shared interest in environmental issues, and to plot out an evolving conversation about what the humanities contributes to living and thinking sustainably in a world of dwindling resources. Resurgence & Ecologist Magazine offers positive perspectives on a range of engaging topics covering ecology, social justice, philosophy, spirituality, sustainable development and the arts. SAGE Magazine is a student-run environmental arts and journalism publication of the Yale School of Forestry & Environmental Studies in New Haven, Connecticut. They welcome all submissions of environmental art, including long journalistic pieces, poetry, prose, digital art, photography, cartoons, cardboard cut-outs, macaroni collages, and, on occasion, sky-writing. Saltfront: An arts and literary journal for a radically new type of ecological storytelling. They are searching for the newest and most vibrant eco-lyrical expressions, new ways to tell stories of what it means to be human amidst the monumental ecological transformations taking place on this planet. Terrain is a journal that searches for the interface–the integration–among the built and natural environments that might be called the soul of place. Watershed: Journal of Environment and Culture is a Brown-RISD publication that explores how we relate to the environment through prose, poetry, art, science, photo essays, journalism, or whatever other creative means are at an artist’s disposal. Weber: The Contemporary West invites submissions in the genres of personal narrative, critical commentary, fiction, creative non-fiction, and poetry that offer insight into the environment and culture (both broadly defined) of the contemporary western United States. Written River: A Journal of Eco-Poetics is a digital literary journal published bi-annually by Hiraeth Press which focuses on poetry and non-fiction prose exploring nature and our relationship to it. They strive to encourage the discipline of ecopoetics and return the voice of the poet to the body of the Earth. You are here: the journal of creative geography: Published by graduate students in the School of Geography & Development at the University of Arizona, the journal is an annual publication that seeks to explore the concept of place through articles, fiction, poetry, essays, maps, photographs, and art. Ashland Creek Press is a small, independent publisher of books with a world view. Their mission is to publish a range of books that foster an appreciation for worlds outside our own, for nature and the animal kingdom, and for the ways in which we all connect. Bear With Me Books: Bear With Me Books was incorporated in October, 2016, in Cardiff, Wales, with the aim of initiating and expanding a programme list that influences positive societal change and contributes to international critical debate. Green Writers Press’s goal is to spread a message of environmental activism through the words and images that they will publish. Harvard Square Editions: Harvard Square Editions (HSE) is a publishing house run by Harvard alumni that grew out of the Harvard Alumni Association group, Harvard Writers and Publishers. HSE is looking for literary fiction with a social or environmental message. Its mission is to publish fiction that transcends national boundaries, especially manuscripts that are international, political, literary, sci-fi, fantasy, utopia and dystopia. We appreciate aesthetic value and constructive social or political content, especially manuscripts related to climate change, deforestation, and conservation. Hiraeth Press publishes a wide range of books that deal with our relationship to the Earth and the revitalization of an ecologically viable spirituality fit for the planetary era. Little Curlew Press is an independent literary press. They publish big lit–fearless works with a strong ecological undercurrent, including place-based eco-fiction, environmental nonfiction, and environmental journalism. Palewell Press: Based in the UK, Palewell Press aims to support human rights, and to increase understanding of social history and environmental change. Stormbird Press: A new independent Australian publisher of quality literary fiction, commercial fiction, and nonfiction with an environmental theme (eco-literature). 100,000 Poets for Change: Annual event involving poets, musicians, and artists around the world in a demonstration/celebration to promote peace and sustainability and to call for serious social, environmental and political change. ARTCOP21: In a multidisciplinary and innovative spirit, COAL mobilizes artists and cultural actors on social and environmental issues and supports the creation of artwork, creating awareness and implements concrete solutions through exhibitions, events, the Coal Art & Environment Prize, and intelligence resources. Cascadia Poetry Festival is an international event which seeks to bioregionally animate and culturally construct Cascadia by gathering writers, artists, poets, and publishers. Excellent list. Very helpful. Keep up the good work! Thank you so much for these great lists. Do you know if there are any lists of agents looking for eco-fiction? I’m not sure about agents. The only thing I know might be the lists of publishers–whether or not they work with agents I don’t know! This is a fantastic resource – thank you! I am working on my first novel and was disappointed at a recent conference at the very lukewarm response to eco-fiction. This page gives me hope that I will be able to help change the world through storytelling!